KFC is identical as a famous fried chicken restaurant in the world. However, who would have thought if the fried chicken franchise was joined to release a smartphone? However, KFC is not alone in the process of developing these devices. 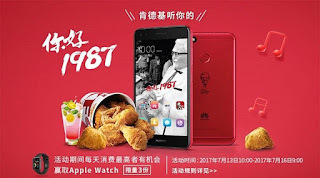 They work with Huawei to release a special smartphone commemorating the 30th anniversary of the opening of KFC in China. 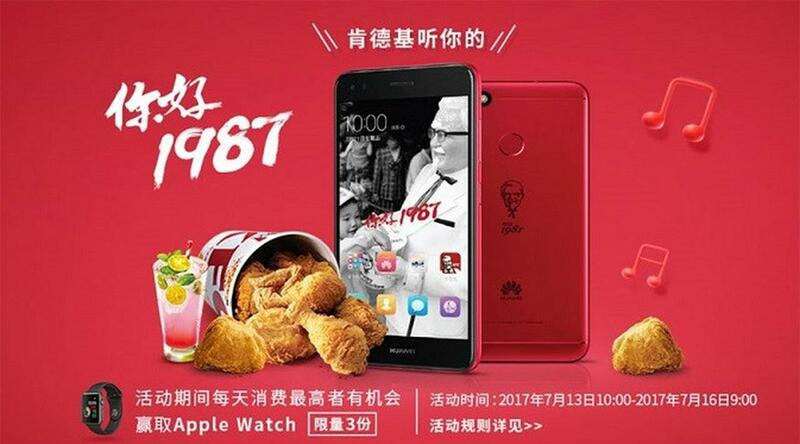 Therefore, this device is basically a Huawei product wrapped in KFC typical red color. The model used for this special edition is Huawei Enjoy 7 Plus. Quoted from The Verge, Thursday (07/13/2017), this smartphone has a 5.5 inch screen equipped with Snapdragon 425, 4GB RAM, and 32GB of internal memory. This smartphone is powered by a 3.020mAh battery and a fingerprint scanner. In addition to the characteristic red color, the rear of this smartphone is carved with the image of Colonel Sanders creator of KFC and number 1987 as the first year of KFC is in the country of bamboo curtain. Not only that, this smartphone also comes with KFC built-in applications that have been filled balance of 10,000 K (special credit KFC) for purchases at KFC outlets. There is also a K-Music application that lets users select songs across all audio systems at 4,000 KFC branches throughout China. "Both KFC and Huawei have been eyewitnesses to China's rise in the last 30 years, and both have embodied the spirit of this era," said Senior Vice President of Marketing of KFC China, Steven Li. Given this smartphone is a limited edition, there are only 5,000 units released by Huawei through China's online retail, Tmall. The price of this device is 1.099 yuan.